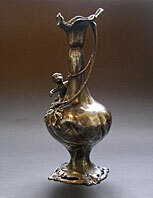 "A delightful and attractive continental Jugendstil silver plated vase in the manner of WMF. 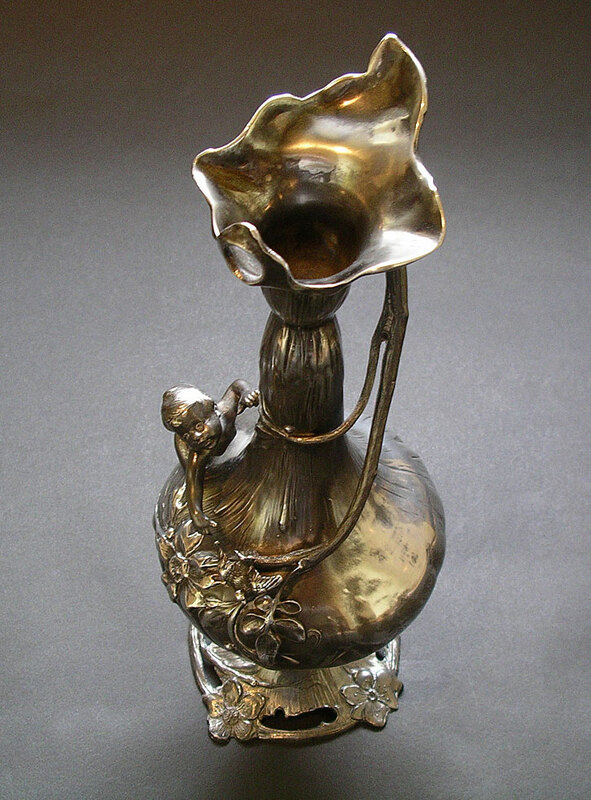 The swirling organic art nouveau body is decorated with the figure of a child reaching out for a bird on typical art nouveau flowering branch. 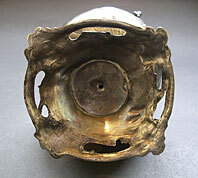 The whole is on an open pierced foot with more flower heads. 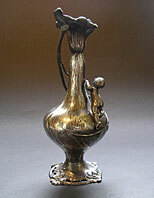 A rare and unusual example of distinctive early twentieth century art nouveau metalwork dating around 1905." Antiques Expert Hamilton Bear. Dimensions: height 360 mm max. Marks: marked IO to base. Condition: Good with acceptable and expected signs of age and use. 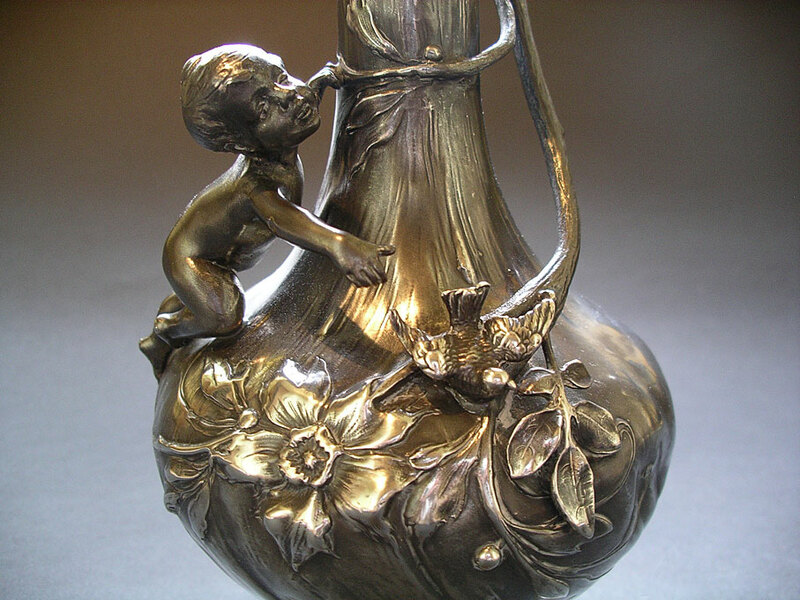 There is typical tarnishing to the surface which has not been recently polished and has been photographed as is. The whole has a warm pleasing patina.